The lotus flower has long been a symbol of purity, rebirth and divinity. It represents rising from a dark place into beauty and rebirth much as the lotus blossom rises from the mud into a beautiful flower. 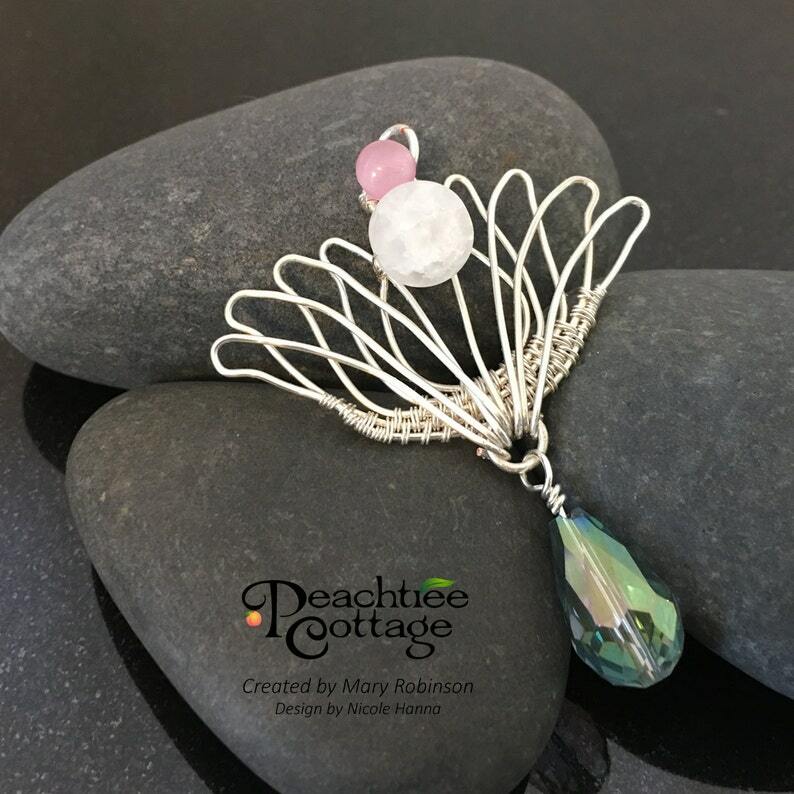 This lotus blossom pendant is hand crafted from tarnish resistant silver plated wire and adorned with a white quartz bead to represent the flower's white petals, a pink cat's eye bead to represent the pink shading on the petals, and a blue/green teardrop bead to represent the water it grows in. Handmade jewelry is an art that requires time and attention to detail. Each item is an intricate piece of work. I do everything by myself from scratch to create this piece of jewelry. I strive to make heirloom quality products that are meant to be treasured and used. Each one is made with a part of my heart included. I hope you will enjoy them as much as I love making them.